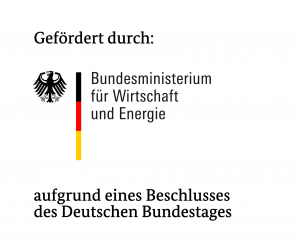 The Open Integration Hub project started July 2017 with a team of 8 partners and is funded by the German Ministy for Economic Affairs and Energy. The official runtime of that project is two years. So we are still in “project mode”, although by now we evolved to a real open source community. First version of the integration framework is published on GitHub! 10 additional partners join the project! Frist standard data models for contacts and products are published. Two additonal partners join the project to work on the domains of documents and collaboration. The project is kicked off by 8 founding partners, supported by the german government. Cloud Ecosystem e.V. (Cologne, Germany) is the german cloud network with more than 85 members from the cloud industry and therefore the biggest cloud community in Germany. Most members are mid-size public cloud SaaS-vendors, active in the B2B space. Leading the Open Integration Hub consortium, the Cloud Ecosystem is bringing together industry leaders and know-how to make the project a success. StoneOne AG founded in Berlin, Germany in 2007 is a ‘Web Software Factory’ that offers innovative technologies and complementing consulting services for cloud IT. StoneOne delivers its customers and partners pre-built, standardized components that allow them to develop and support a great variety of web-based services – with a focus on Platform as a Service (PaaS) and cloud enabling. elastic.io is a born-in-the-cloud innovator and an established expert in cloud integration solutions in Europe. The company’s hybrid integration platform-as-a-service (iPaaS) delivers a complete suite of tools and the technology for its users to connect disparate software cloud-to-cloud and cloud-to-ground easier, less time-consuming and more cost-effective. The elastic.io’s iPaaS is built upon microservices technology allowing for high scalability and performance with low latency, which is ideal for its implementation in Cloud, IoT and Mobile projects. The yQ-it GmbH located in Darmstadt, Germany, is the creator of SilvERP, an integrated Business Software, which runs in the cloud or on-premise. Extensive functionality in Wholesale Distribution and Manufactoring increase efficiency in all business processes! Berlin-based Basaas GmbH offers a neutral cloud marketplace and presents a great variety of world class business applications for small and medium busiensses – much like Apple’s AppStore or the Google Play Store. Basaas brings structure and transparency to the cloud market. Cloud Workplace and Cloud Manager are two tools that allow you to efficiently organise all your cloud solutions in one place! Another benefit: a registration with Basaas allows you to centrally manage and pay for all of your solutions! Basaas handles all processes with the software vendor. The internationally renowned Technische Universität Berlin is located in Germany’s capital city at the heart of Europe. Our academic activities are focused on achieving sharply-defined goals: building a distinctive profile for our university, ensuring exceptional performance in research and teaching, providing our graduates with excellent qualifications and a modern approach to university administration. The TU Berlin strives to promote the dissemination of knowledge and to facilitate technological progress through adherence to the core principles of excellence and quality. Strong regional, national and international networking with partners in science and industry are an important aspect in these endeavors. Hamburg-based Wice GmbH is a cloud computing poineer in Germany and creator of Wice CRM. The award-winning solution is made for small and medium business. Wice is one of the first partners of TelekomCloud. Over the last 15 years, Wice proved its extensive experience in integration of cloud and on-premise solutions. Data synchronization via the Open Integration Hub will expand those capabilities and unlock new value for our customers. Fraunhofer IESE is one of 69 institutes and research units of the Fraunhofer-Gesellschaft. Together they have a major impact on shaping applied research in Europe and contribute to Germany’s competitiveness in international markets. For 20 years we have been involved in research and collaboration with our partners to develop trendsetting key technologies for tomorrow. Leading companies as well as hidden champions – all around the world – are relying on our expertise and independence. We are convinced that the interconnection of systems and sensors in collaborative, smart ecosystems will determine our future. Cloud Ecosystem e.V. (Cologne, Germany) is the german cloud network with more than 85 members from the cloud industry and therefore the biggest cloud community in Germany. Most members are mid-size public cloud SaaS-vendors, active in the B2B space. The Cloud Ecosystem combines resources to organise joint demand generation activities under the so called German Business Cloud. All participating members use the neutral brand for marketing activities, such as attending big trade shows to win new customers at shared costs. Leading the Open Integration Hub consortium, the Cloud Ecosystem is bringing together industry leaders and know-how to make the project a success.